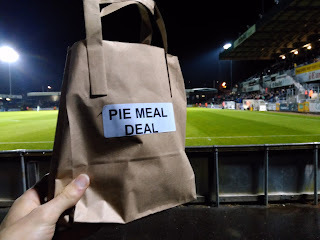 continue reading "A Sad Case of Base-Overbake"
Last night the Pierateers set sail for Bristol to pillage some pies from Bristol Rovers Football Club. It would have been nice to think that the large Pirate flag hanging up at the Memorial Stadium was in honour of our visit, but sadly it was because Bristol Rovers count 'The Pirates' amongst their various nicknames. 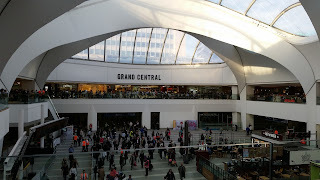 But it did mean we felt quite at home despite it being an away ground. 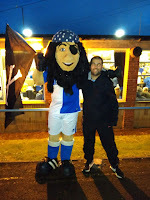 Pierateer Rob even grabbed a picture with the Pirate mascot. 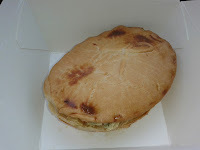 But did the experience leave us sick as parrots or did we unearth some buried treasure? It was the big match, Bristol were playing us (Wycombe Wanderers) in the Johnston's Paint Trophy 2nd round. The most minor of competitions, the Football League Trophy somehow continues to exist despite a relentless indifference from pretty much everyone involved in it. The BBC can't even be bothered to write up match reports. In some ways it is good to get knocked out early rather risk injuries to a small squad. But then I would say that having seen Wycombe knocked out in fairly routine fashion! Two goals from Rovers in the first 11 minutes was always going to be difficult to come back from. Bristol somehow produced some good passing football despite missing their Gibraltar and Wales Under-21 internationals which has led to the shock postponement of their forthcoming meeting with Wycombe in the League. Despite the defeat, there were plenty of chances and I came away about as happy as you can do when your team has just lost. 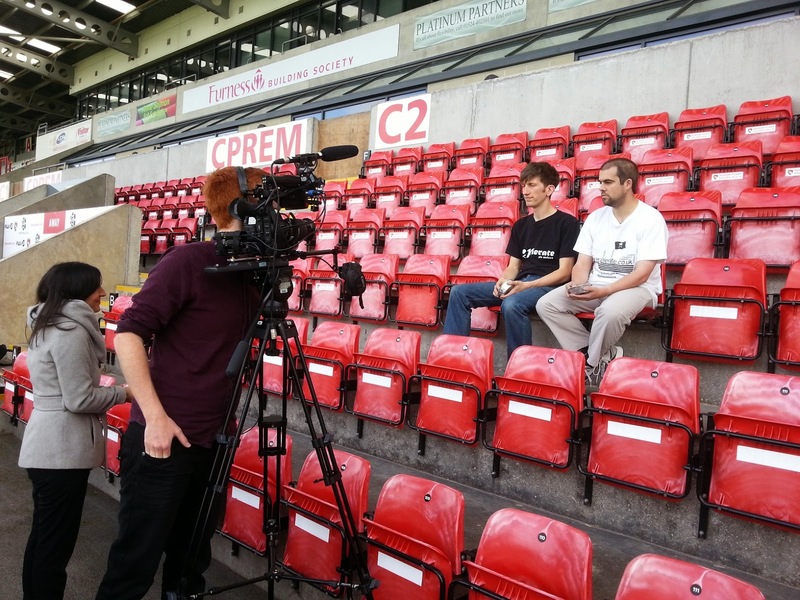 It probably helped that they only charged £10 for the ticket which is a lot more reasonable than League Two matches. 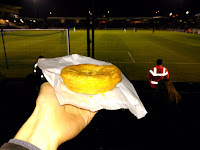 Also, having had a decent pie probably helped add to the match day experience! 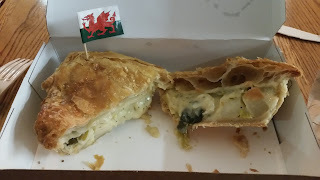 On first inspection it seemed that Bristol specialised in pasties, the livery of the catering outlet was dominated by a pasty company. There were a lot of pasties but fortunately the pie menu was also healthy. Four were listed although only Beef and Curry were on offer for this Tuesday evening fixture. Having run out of Beef pies in the away end the catering staff were good enough to bring us some over at half time. 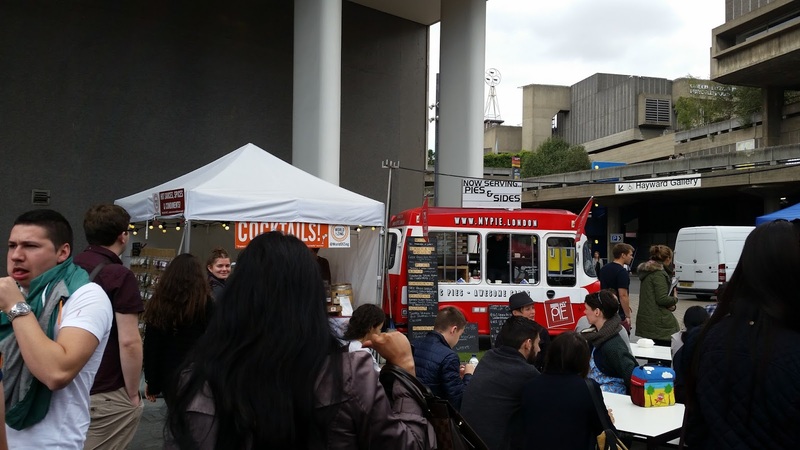 From one Pierate to another Pirate, at least their hearties in the right place! 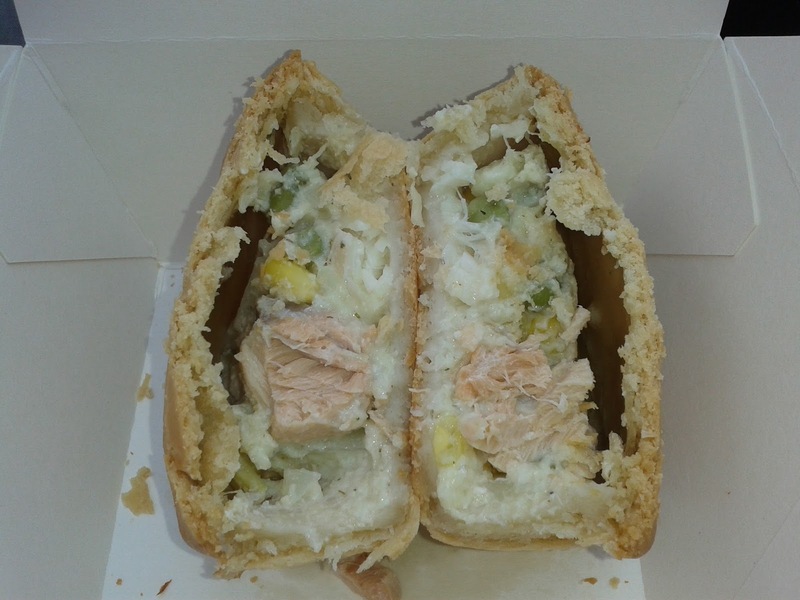 Yo ho ho and a cup of tea, packet of crisps plus a chocolate bar gets you a 'Pie Meal Deal' for £5.50. What baffled us was why they felt the need to put a sticker on my bag to identify me as a 'pie meal deal' eating lard arse. But hey, we have proven that pies don't make you fat so I wore that sticker with pride! Pierateer Rob was especially pleased that they brought over a Beef pie. 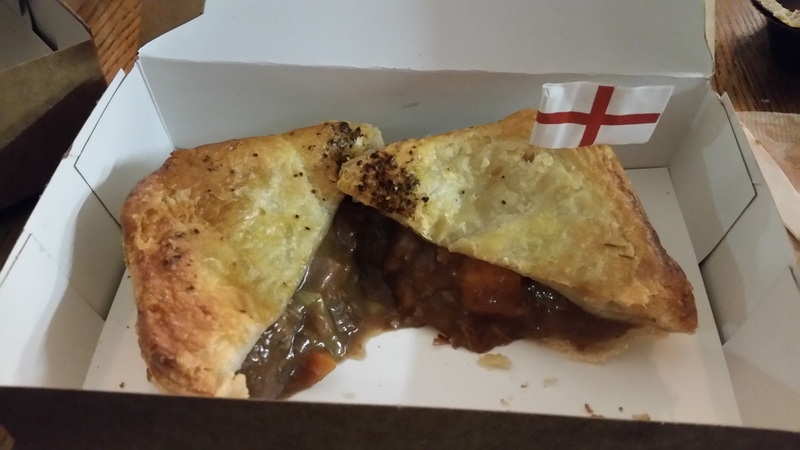 He doesn't like curry pies, so we avoided another Cambridge 'only selling curry pies' United fiasco. Pierateer Sam does like curry pies. 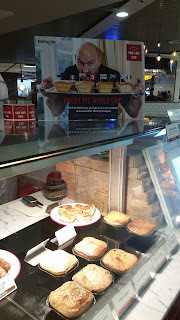 He also likes Beef pies. Being a 'pie meal deal' eating lard arse he opted for both! 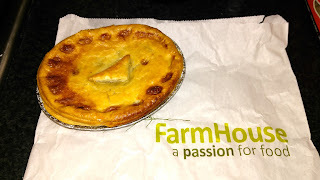 This was despite having a large pie before leaving home. The Pierate Ship was floating a little lower in the water on the way home that's for sure! 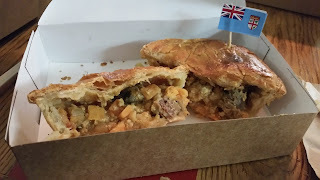 It is important to note that whilst the pie was served in a bag with the logo of the pasty company, Bristol Rovers contacted us to say that the pies are in fact made by an Australian company called Vili's. There could perhaps be better branding to promote Vili's who seem to be doing a fine job over here at Bristol. We have to admit that the Aussie seem to know a thing or two about meat pies in our experience. The Vili's beef Curry pie stood out as especially good compared to the competition at other grounds. The Beef pie didn't stand out but it was cooked well and it was at least a slight variation from the pies produced from the large national companies such as Pukka. 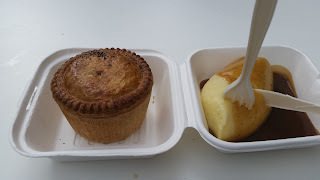 Both of them held together well, with a thick sauce, making them ideal to eat by hand at a football match. 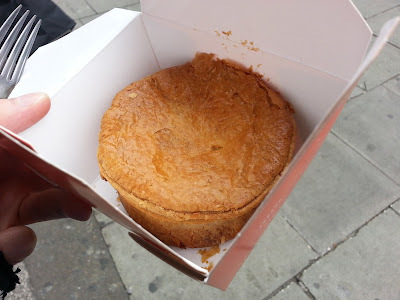 The pastry was tasty but very flaky, perhaps overly so as I was picking flakes of pastry out of my beard for the next 24 hours. In some ways we were reminded of the flaky pastry often used for sausage rolls. 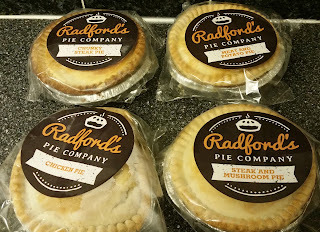 At £3.20 for quite small pies these were some of the more expensive football pies we have had. 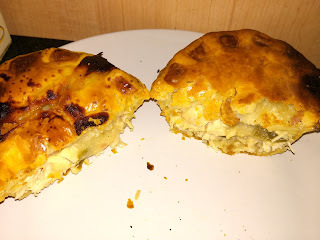 However, we both agreed that we would rather have a smaller pie that we wanted to eat rather than some of the bad pies we have eaten recently at football matches. Despite being small, both pies were well filled. The flavour of the Curry pie really impressed Pierateer Sam. 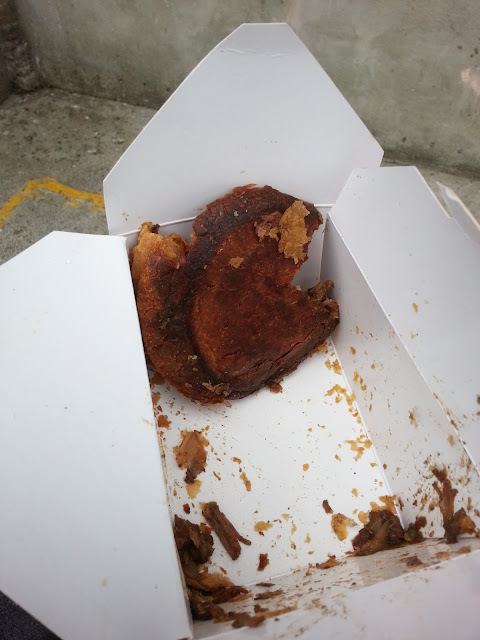 It was well spiced but also really meaty. 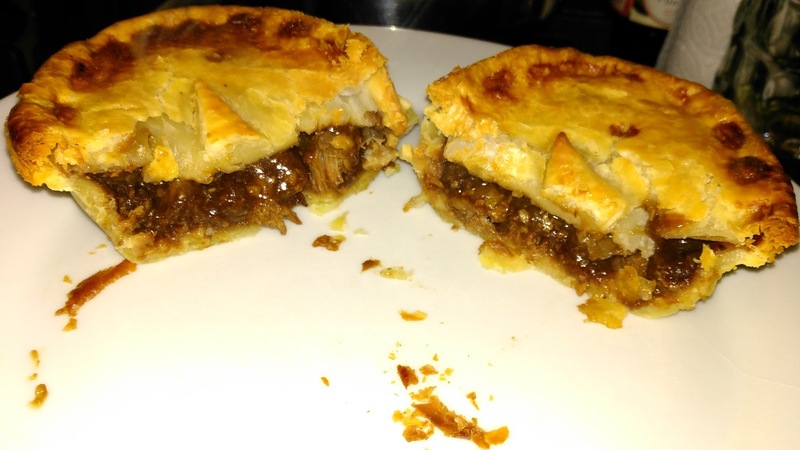 The beef added plenty of flavour and gave a more satisfying experience than other football curry pies which predominately use chicken in our experience. 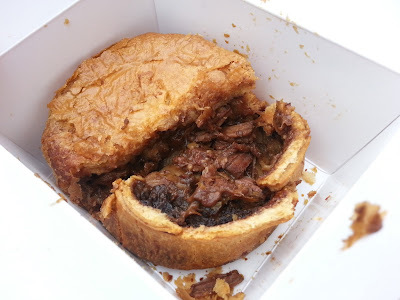 The beef was in nice chunks which had a bit of bite, almost, but not quite verging on too chewy. Whilst not really hot, it had some chili taste which was welcome. The filling worked well with the flaky pastry. 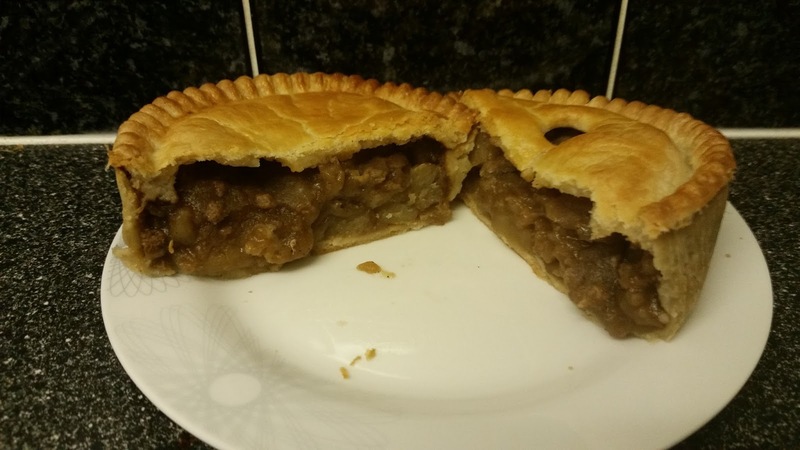 The pie looked overcooked but fortunately didn't taste dried out. Sam and Rob both found some variation in the filling of the Beef pie. 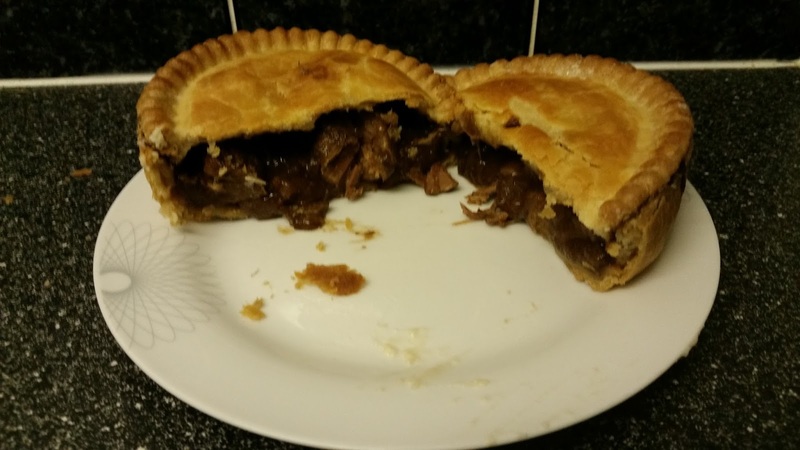 Sam was lacking in beef chunks almost entirely, whereas Rob found a reasonable meat content which wasn't chewy. However, Sam was quite happy with the flavour of the meaty sauce. It reminded him of a more peppery version of the Pukka Beef and Onion. 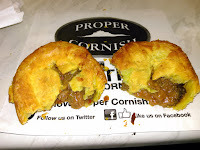 Rob found the pepper too strong and that the other flavours just didn't really do enough to stand out. 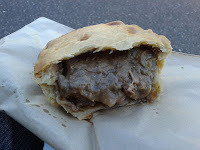 There was a great gloss to the gravy and the Beef pies were well cooked. 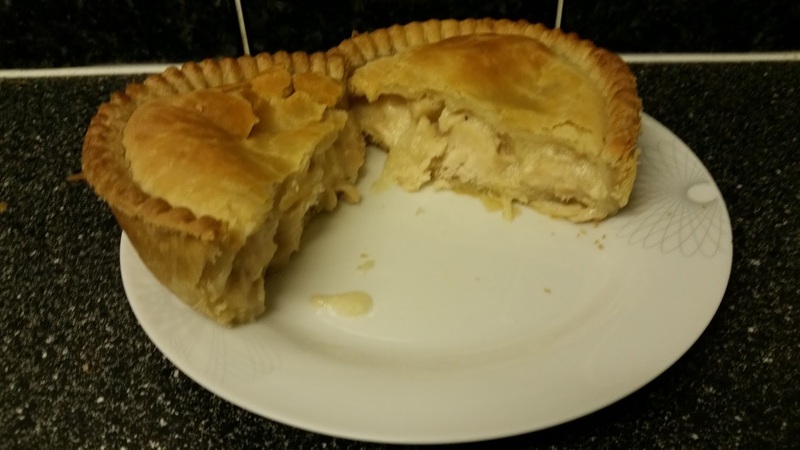 Rob scored the pie very slightly higher than Sam but they were both agreed that it wasn't a bad effort. 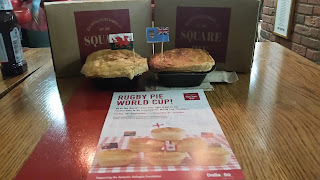 The catering staff explained that Vili's make the pies fresh for the match and they are cooked on site in ovens just before the game. This is certainly an advantage compared to the frozen and microwave options adopted at other grounds. 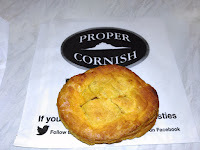 The strong score for the Curry pie see Bristol Rovers up to 3rd place in our PIEremiership Football Pie League. Arrrgh'll be back for more! continue reading "Pierate Pillage Pirates"
There's always been a strong link between football and pie. We've highlighted it many a time, including in our "Pies and Football - a match made in heaven" article. We've even created the PIEremiership, to record the half time pies we've eaten at football grounds across the country and the exciting news is that we're expanding it to cover all five West Midlands clubs. 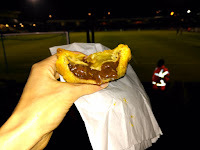 With Walsall already covered but rated over 5 years ago (in what was actually Pierateer Rob's second ever pie review!) we've decided to go on a West Midlands Football Pie Tour, with all five grounds in the Birmingham area being covered. 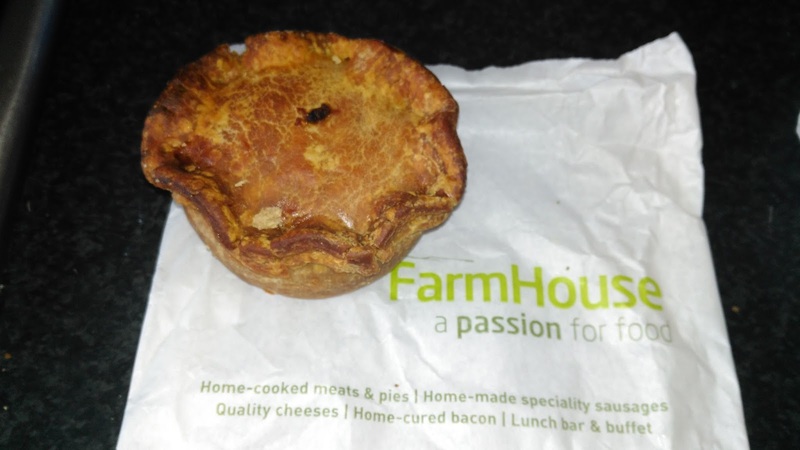 Aston Villa, Birmingham, West Brom and Wolverhampton's football pies have already been put under the spotlight in the past few weeks and Walsall's is still to come this weekend, as we look to find out whose pies hit the back of the net and which ones will be paying the penalty! 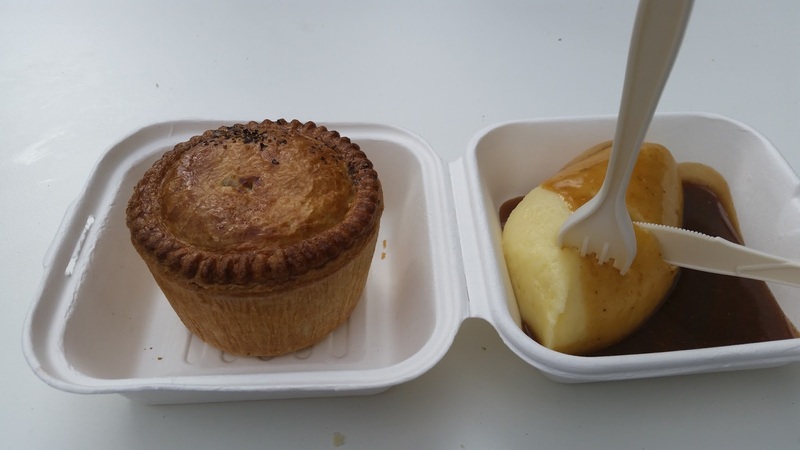 You've been able to follow our progress on our twitter and reports will be added to an article I'll be writing about the Birmingham Football Pie League for Buzzfeed in the coming few weeks! 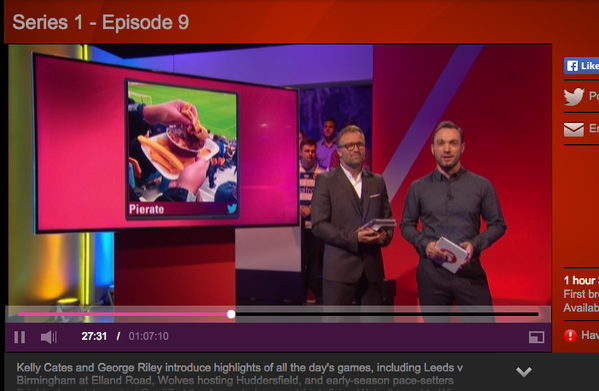 But without us even realising, Channel 5's "Football League Tonight" programme got in there early and spotted us pie rating at the Wolves v Huddersfield game on Saturday, featuring our photo on their football highlights show! Thanks to Steve Bartley and Thom Bartley for pointing it out to us on Twitter! 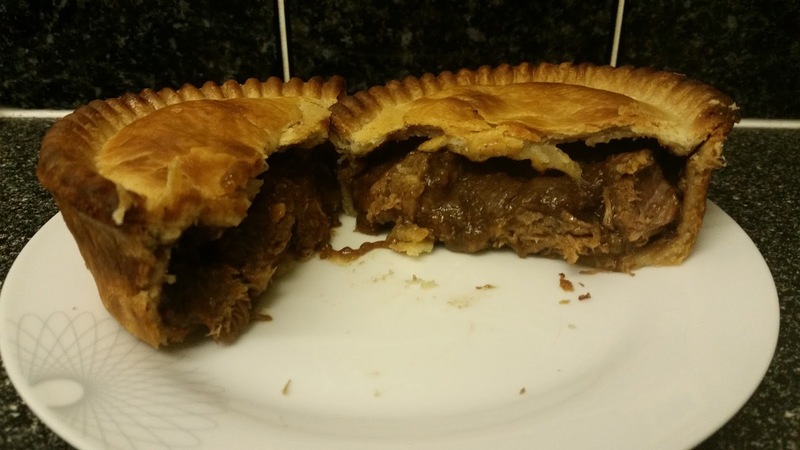 Football on 5 showed our half-eaten pie on Channel 5! 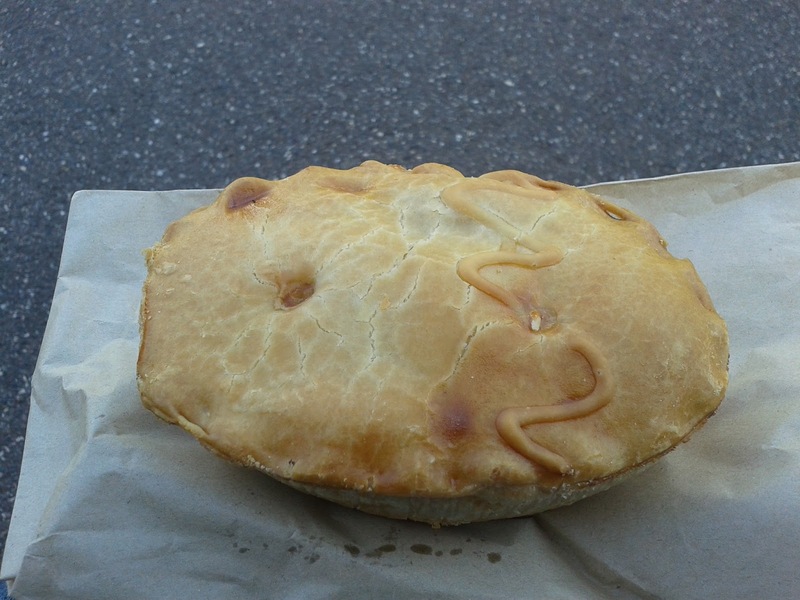 Check out the football pies we've rated so far in our PIEremiership! And speaking of football pies, you may well have seen that Pierateer Rob was called upon by BBC One hit show "Rip Off Britain" to give his expert pie opinion recently on football pies. 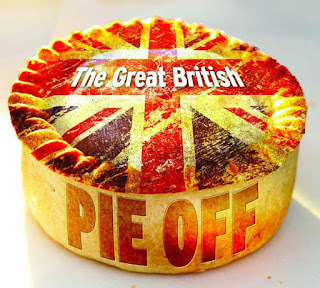 You can find out more about what he said by visiting our Rip Off Britain: Football Pies article. continue reading "Pierate's Football Pie features on Channel 5!" 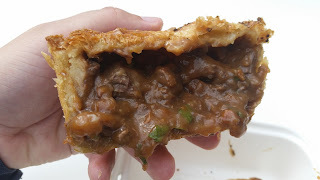 continue reading "Devon Knows How They Make Them So Chunky"
Back in British Pie Week 2014 Pierateer SJL ate pie for every meal in any attempt to show that pies shouldn't be so heavily blamed for our obesity problems, finding that he actually lost weight during the 21 pie meal challenge. You can read the full story of his exploits in the original article. Now this story has been picked up by national newspaper the Daily Star Sunday and can be read on their website. 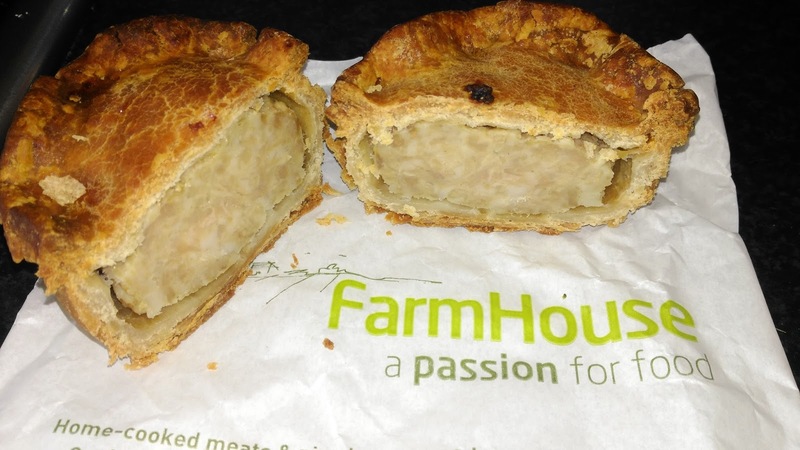 We are pleased to see that the Daily Star Sunday are spreading our message that pies can be enjoyed as part of a healthy, balanced diet. 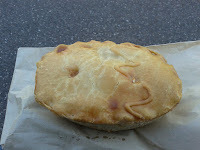 Given that a pie can also contain meat, vegetables and carbohydrates, it can be quite a balanced meal in it's own right. 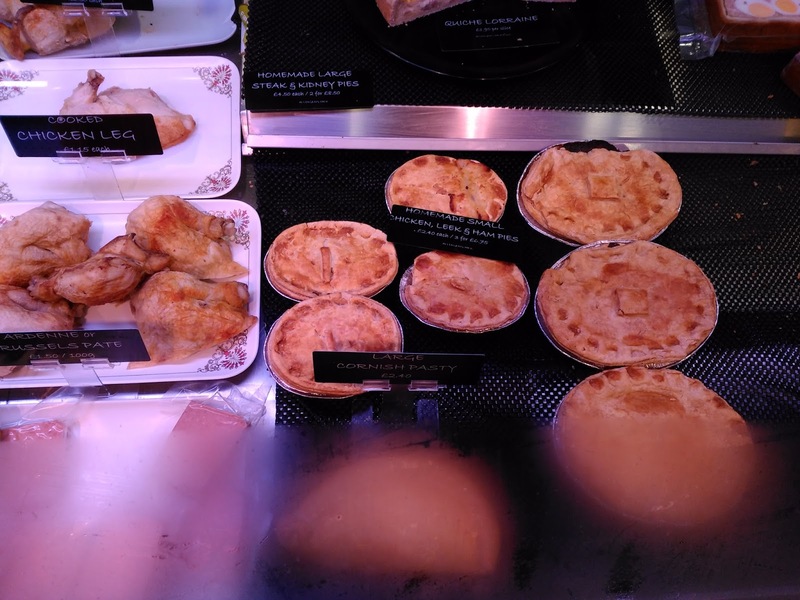 We should know, after all, we eat a lot of pies! 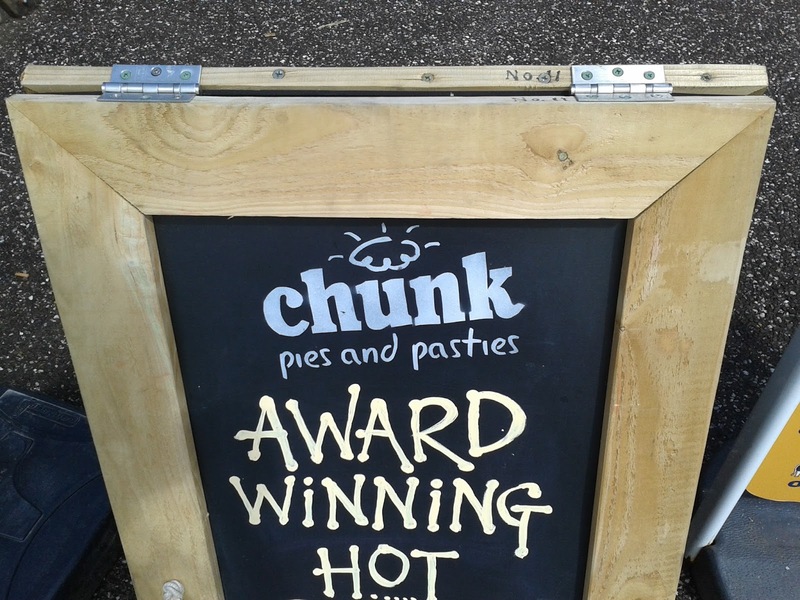 We hope that this encourages others in the media to stop unfairly associating pies and obesity. 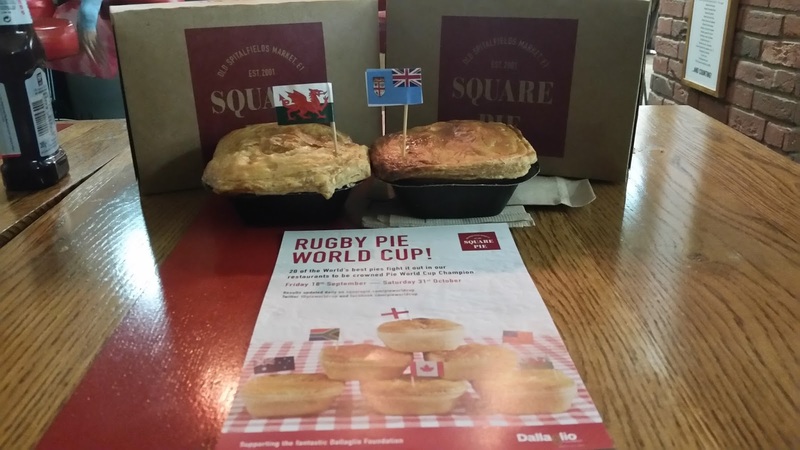 Pierateer RAS had recently been featured in the paper, giving them advice on what makes a good pie as they launched their own pie competition, 'The Great British Pie Off' and in the process bringing their attention to the worlds leading pie review blog! 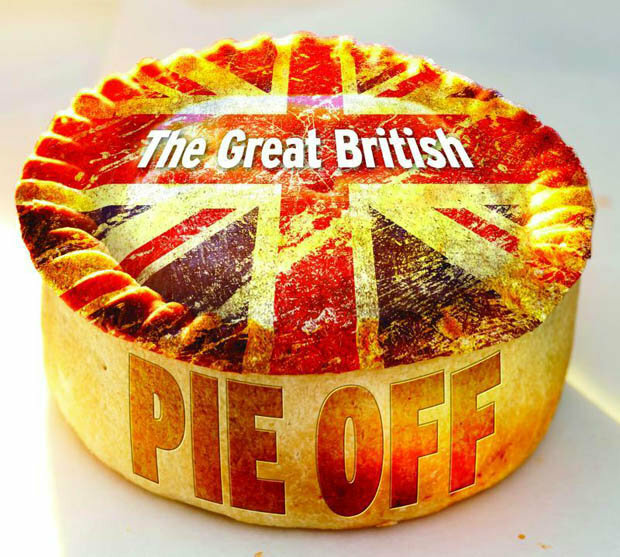 continue reading "Our Pie Diet Is Picked Up By National Newspaper"
continue reading "MyPie Steak a claim for the top London pie!"